Tablet ! Tablet ! Everywhere - Blackberry Playbook may be discounted this week | Happenings, Marketing and Technology Advice and Thoughts! This is a good season to be a Tablet buyer. The good news is that you have a lot of choice, and the bad news is that you have a lot of choice ! Amazon has shipped the Amazon Kindle Fire Tablet which sells for $199. I have only seen it in stores and read reviews. One that I read yesterday is from eWeek "Amazon’s Kindle Fire is the world’s smallest vending machine disguised as a tablet ". Generally a good device for doing what you need when you are away from your computer and before bedtime. 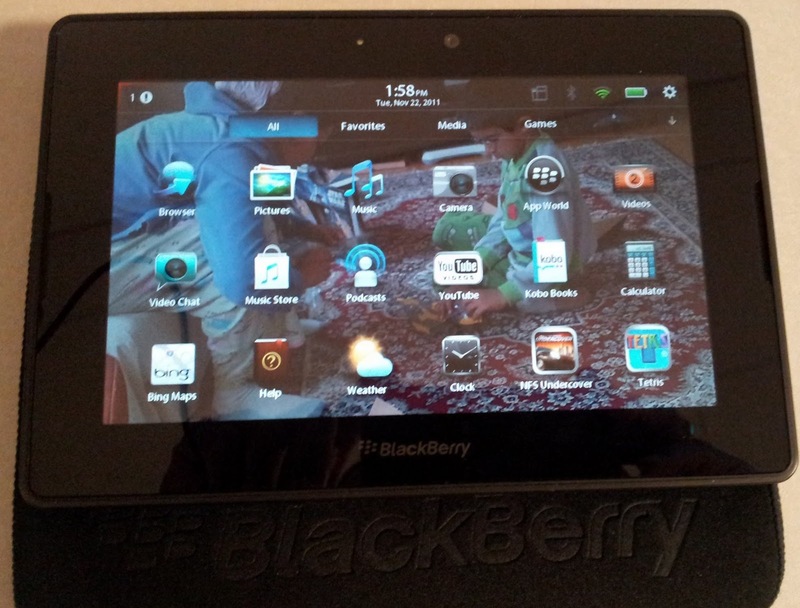 BlackBerry - PlayBook Tablet with 16GB Memory for $199. 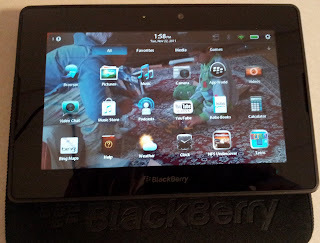 I have some experience with the BlackBerry Playbook ever since RIM sent me one to use and try. As soon as I unpacked it my college going daughter ( Yes! I have a college going kid) snatched it from me and off it went to classes and lectures. It is a wifi only device and was a perfect light tablet (14 oz.) for carrying on long walks going between classes. The 7" screen was good enough to hold in your hand and it had all the document software you needed and connect with your computer to transfer notes. Of course I have now retrieved it back after a game of tag when the Family got a new iPad2 in a sweepstakes held at the Shady Grove Eye and Vision Patient Appreciation Day. Now I have the Blackberry Playbook , My wife gets the new and shiny iPad2 ( Wants it more for the Facetime than anything else) and my daughter gets the iPad1. Very easy to type and write notes. For non-Blackberry users the browser seems to be the only way to check email. Blackberry is probably going to remedy this in an update early 2012. Social Sharing : I could not find an easy way to share links from my browser which is very important for me. Bottom-line : If you are a Blackberry phone user and want a easy device to handle when you are not near a computer and the phone keyboard is too small, this is a good tablet to have specially if the price is $199. Do you have a Blackberry Playbook? What do you think of the Tablet wars?